For many decades Armenia has taken sides in various international disputes taking place at the U.N., OSCE and other platforms thus allowing itself to be pulled into dangerous intrigues between other states and alliances. 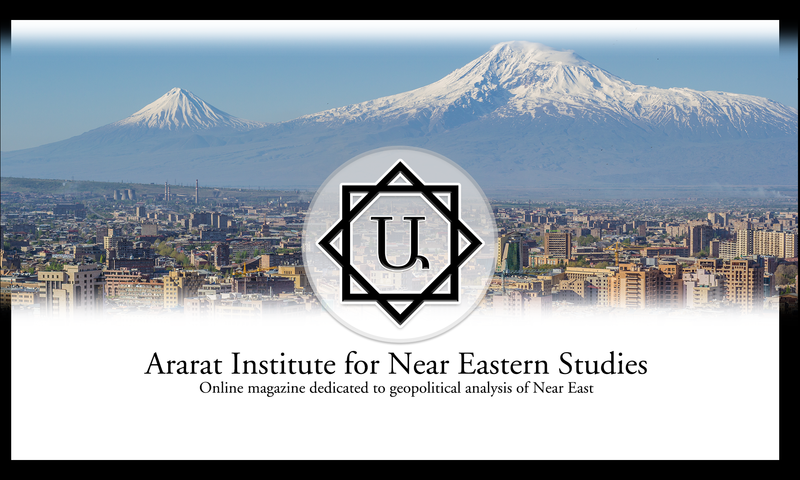 Armenia’s long history of coexistence and warfare with ancient empires of Near East and modern Europe have shown that taking sides in any conflict has costs that Armenian people cannot afford. Mistakes made in the past have cost the Armenian people millions of lives and significant territorial losses (nine-tenth of its historical homeland) along with the loss of national statehood for many centuries that followed such upheavals. Massacres and genocides have become one of many defining factors of Armenian identity and its quest for freedom and independence from foreign rule. One of such errors followed the signing of Bishkek Protocol (1994) where Artsakh was recognized as one of the sides of the conflict yet despite that recognition Artsakh was removed from the negotiation process under the tenure of former Armenia’s president-Robert Kocharyan. As a result, the Armenian side was represented by people who didn’t necessarily have a mandate to speak on behalf of the people of Artsakh. The people of Artsakh didn’t participate in 1998 presidential elections that took place in the Republic of Armenia and therefore Robert Kocharyan was not empowered to negotiate on their behalf despite the fact that he was the former president of Artsakh prior to becoming the president of Armenia. Removing Artsakh from the negotiations table was probably one of the biggest mistakes in Armenian foreign policy that brought the negotiation process to a stalemate that it is presently. Unlike in Azerbaijan where Azerbaijani refugees take part in country’s presidential elections and therefore Ilham Aliyev is empowered to speak on their behalf, the people of Artsakh did not vote in Armenia’s presidential elections and they didn’t take part in the most recent elections of the Prime Minister of Armenia. As such no representative of the Republic of Armenia was empowered to negotiation on behalf of the people of Artsakh. Consequently, the correction that the PM of Armenia N. Pashinyan is trying to make by bringing Artsakh back into the negotiation process is legally justified and necessary for making progress in the negotiation process. Refusal by Azerbaijan to allow the return of Artsakh representative to the negotiations table not only shows to the OSCE Minsk Group that Azerbaijani position is not constructive but also highlight the fact that its promises of peaceful resolution of the conflict are empty. The solution to this problem would be for the Armenian side to leave the negotiation process while giving Azerbaijan a timetable to present a constructive position that will show a genuine desire to find peaceful resolution of the conflict. Failure by Azerbaijan to comply should be followed by formal recognition of Artsakh’s independence by the Republic of Armenia. The next step should be de-jure reunification of Artsakh with the Republic of Armenia as one of its provinces. In fact, there is a good probability that such a move will prompt other countries to do the same. A number of such precedents have been already established where many ethno-territorial conflicts of similar nature were resolved in the same manner. Furthermore, such a move is supported by international law which allows small nations to pursue self-determination and independence from bigger states that have dominated and persecuted them in the past. Despite some differences between various precedents that gave rise to smaller states of the present the people of Artsakh have made their choice many decades ago and as such, it must be respected at any cost and seriously taken into consideration by every party involved in the negotiation process. Another error in Armenia’s foreign policy was to leave its military component out of the negotiation process for the past two decades despite the fact that military component was always present and continues to be present in foreign policies of other countries including Azerbaijan. Failure by Armenian diplomats to secure military victories on the battlefield in the diplomatic arena have led the ongoing negotiation process to its present stalemate. Latest statements made by Armenia’s DM David Tonoyan during his meeting with the Armenian community of New York and previous such statements made in Armenia are rather timely and all the more necessary for making corrections to Armenia’s foreign policy and ensuring that the negotiation process doesn’t jeopardizes the security of Armenian people and doesn’t undermine its state sovereignty. Peaceful resolution of the conflict must never entail any surrender of liberated Armenian territories and shall never involve a deployment of foreign troops on Artsakh’s territory. No matter how big Azerbaijani’s military could be and no matter how vast is the arsenal in its possession, Azerbaijan cannot win this war, not now and not in a foreseeable future. The sooner it realizes this fact the better as many lives will be saved in the process. Azerbaijan has no other viable choice but to acknowledge the facts on the ground and move on without looking back. The failure by Azerbaijani to reach such a peaceful resolution of the conflict will result in the resumption of war and loss of additional territories from Horadiz to Khazakh, from Gandzak (Gyanja) to Mingechaur. Under such dire circumstances, Aliyev’s government will have no other choice but to face its impeding doom not only at the hands of Armenian armed forces but first and foremost at the hands of his own people who are tired and fed up with the dictatorship of this infamous dynasty that has been oppressing them every day for more than two decades. People of Azerbaijan deserve better. The defeat of Azerbaijani armed forces not only will destroy the Aliyev’s dynasty but also will divide the country apart. Armenian foreign policy must always entail a military component and should never shy away from using force when necessary for the security of Armenian people and the integrity of its nation-state. Armenia should not outsource its foreign policy to other powers at play. Instead, it must be able to have its own and pursue its national interests by itself. Armenia should avoid casting votes against Iran, Georgia, Russia, Israel, U.S. and Arab countries that have Armenian communities and/or possess pro-Armenian sentiments. Instead Armenia should seek mutually beneficial cooperation with them for the purposes of strengthening the Armenia’s economy and national security. Opening new embassies and consulate offices throughout the Middle East will contribute to Armenia’s economy and to the strengthening of its national security. Our previous articles on this topic have already covered various shortcomings in defense planning and many of those errors have been corrected since then. However, some of them continue to require attention and more needs to be done to significantly minimize chances of another breach of front line positions by enemy troops. One of such errors was the distance between the front line positions and ammunition depots. During heavy shelling in the first two days of the war the front line positions were forced to ration the number of ammos that they shot and in some places the soldiers have ran out of ammo and had to fight the enemy with rocks, shovels, knives and cork screws. Due to ongoing heavy shelling rear troops couldn’t bring supplies and reinforcements to the front line as soon as the war broke out. Many soldiers in the front-line positions were down to their last magazine when the ceasefire took hold. As such they could have not lasted for another day if the war continued without considering a retreat from their positions under heavy shelling. Consequently, ammunition depots need to have been decentralized and positioned much closer to the front-line, in underground bunkers. They should have been connected to the front-line positions via tunnels. Additionally, the military barracks needed to have been spread out instead of being concentrated in specific areas. Considering the presence of cruise missiles, “kamikaze” drones and other loitering ammunition in the conflict zone a barrack full of soldiers is an easy target for the enemy to destroy while causing maximum number of casualties in the process. Instead of packing hundreds of soldiers in one place their barracks should have been spread out in a wider area with fewer soldiers per barrack. Another error in defense planning was not considering a number of effective, civil defense measures in border towns and villages of Artsakh. When the war resumed, thousands of civilians, among them women, children and elderly had to be evacuated to nearby towns and villages miles away from their homes under heavy shelling of devastating rocket-artillery systems and attacks by “kamikaze” drones. Instead, each border town and village should have had a heavily guarded, underground bunkers equipped with air ventilation systems, gas, electricity, food, water, blankets, power generators, tv-radio-phone communication systems and other supplies, among them medical emergency and trauma kits. Civilians should have been trained in CPR and delivering of first medical aid. Moreover, the male civilians of these towns and villages should have had a rallying point somewhere outside of their town and/or village, at an underground emergency command and control center, where they would have been able to arm themselves, form local militias and defend their families hiding in underground shelters. Such civil defense measure would have also entailed having them to undergo military and survival training at least once a month to hone their skills before such things ever happen. Better yet, the inhabitants of Artsakh’s border towns and villages should have been allowed to keep their weapons at home. This way, if a war broke out, which is exactly what happened in April of 2016, the people would have been well prepared to defend their homes and even send armed reinforcements to front-line positions that were breached by Azerbaijani commandos during the first twenty-four hours of the war. Governments in Republics of Armenia and Artsakh must pay serious attention to preparing their civilian populations for a breakout of war in a near future. As such, civil defense drills should become commonplace. A system of well defended underground bunkers should be created near border towns and villages and fully stocked with food, water and other life support systems. In fact, civil defense training should be thought not only to high school students but also students of elementary and middle school age. Everyone should know how to deliver first medical aid and administer a CPR. Furthermore, civilians living in border towns villages should be armed and allowed to keep weapons at home. In the meantime, weapon depots in border towns need to be decentralized to avoid accumulations of large crowds in one place, thus becoming another high casualty target for “kamikaze” drones, bombs and cruise missiles. Frequent civil defense drills need to be carried out in border towns and villages to prepare people for the resumption of war in a near future. Basic military tactics should be taught at a high school level and more time should be spent on practicing accurate shooting rather than on assembling and disassembling an assault rifle as there will be no time for that in middle of a battle. Attaining higher degree of shooting accuracy will save their lives and that of their friends and families. These measured if undertaken will cut down the time needed to prepare civilians for defense and significantly reduce the number of casualties among civilian populations of Armenian border towns and villages. A nation stuck in the middle of a warmongering countries cannot rely only on its military preparedness only but also must pay as much attention to its civil defense measures and public’s preparedness for a war yet to come. Armed, well prepared and well trained nation cannot be defeated no matter who attacks them and no matter when and where such an attack takes place.